All interested students can know about How To Join Pakistan Army After their qualification such Matric, Inter, Graduation, Master 2019. Here we are describing complete or final information for joining Pakistan Army after regarding education. Pakistan Army is a defence force which are providing us security at the boundary of Pakistan. Thousands of candidates are want to become the part of Pakistan Army and get promotions according to their well performance. Many of the rules and regulations about duty of Pak Army which are very essential for each person. Here you can get complete information about getting registration through the recruitment and selection office of the Pakistan Army. You can see here that How To Join Pakistan Army After Matric, FSc and Graduation. Every Country have their army force and Pakistan army for is Pak Army. 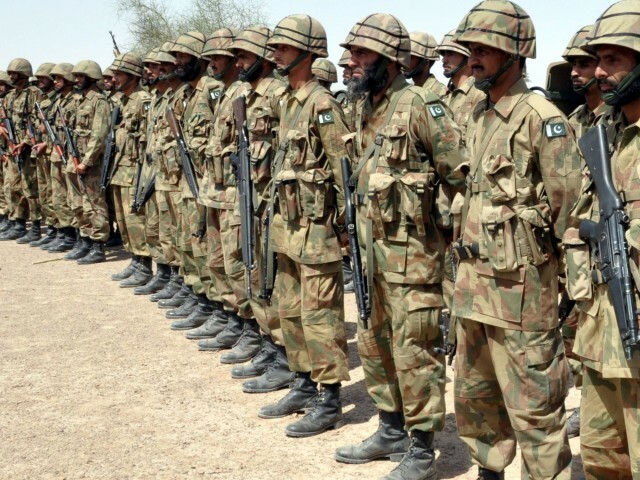 Here we provide all information and details about Pak army that How to join Pak Army. Whose wish to join pak army they can see enough information about it. They have maximum rules and regulation and they follow their rules very carefully and strictly therefore they are working very accurately working as well. Induction is open to all eligible Pakistanis irrespective of caste, region, religion and creed. Also find here Join Pakistan Army 2019 online registration form last date and criteria. Male citizens from all province domicile of Pakistan or Azad Kashmir/ Gilgit-Baltistan domicile holders and State Class-1 Citizens must be apply for the Pak Armed Force of Pakistan. Upon final selection candidates with dual nationality to surrender nationalities other than Pakistani. And those Pakistani whose wish to join pak armed force and they are living in the abroad they can apply through embassy. Relax-able age for the candidates will be three months both in upper and lower age limit under special circumstances. Candidates Weight must be – As per the Body Mass Index. Matric Certificate and Matric Detailed Marks Sheet (Both compulsory). In case of ‘O’ lvl/’A’ lvl, submission of Equivalence Certificate issued by IBCC is mandatory. Certificate/Detailed Marks Sheet of FA/FSc/Equivalent. Computerized National Identity Card for 18 years and above or Computerized Form “B” alongwith Guardian’s Computerized National Identity Card (Father or Mother) for less than 18 years old. Original as well as three photocopies of “NOT RECOMMENDED” letter by Inter Services Selection Board are also required for Repeater Candidates. Old National Identity Card and Form “B” will not be accepted. FSc (Pre-medical) with minimum 70% marks or “A” level passed in Biology, Physics and Chemistry with minimum grade C.
Candidates from Balochistan, Sind (District Tharparkar, Omar Kot), Northern Areas, Azad Kashmir(Upper Nelam Valley) and FATA having domicile and local certificates can apply with 65% marks. Candidates possessing foreign qualifications such as ‘O’ Level and ‘A’ Level etc will be required to obtain Equivalence Certificate and conversion of marks from Inter Board Committee of Chairman (IBCC), Ministry of Education, Islamabad and attach it with application form. Candidates who have passed FSc Part-I Examination with minimum 70% marks and appeared/are appearing in FSc Part-II/ Final Examination can also apply on “HOPE Certificates” by the Head of the institutions. Such candidates must deposit an attested copy of FSc Part II Certificate/ Mark Sheets to PA Directorate (PA-3C) GHQ Rawalpindi within 5 days of announcement of result, otherwise their selection will not be processed further. Selection Board are also required for Repeater Candidates. Canidates must having the matric and inter marks sheet by the reputed Board of intermediate and secondary education (BISE). Inter and matric candidates must be vary 17 to 22 years for join Pak Army. Above 18 years old Candidates must have CNIC while below 18 years candidates have ‘B’ form generated by NADRA and attached with their applications and parents copy of Computerized National Identity Cards. Any which district or Province like that Balochistan, Sindh, Northern, Areas, Azad Kashmir and FATA candidates must having the domicile. Not Recommended” twice by ISSB /GHQ Selection Board. Enrolled cadets and recruits withdrawn / resigned / discharged / dismissed from Armed Forces (Army, Navy and& Air Force) training academies / institutions on the grounds of discipline, character, medical, inefficiency, weak profile, own request or declared unsuitable. An individual dismissed / removed from any other government service. All the interested candidates can also join Pakistan Army after Graduation. According to the age limited so 17 to 23 years candidates are eligible for PMA long course. Three months relaxation has been given to the candidates under special circumstances. According to the marital status so only single candidates are eligible for joining Pakistan Army. According to the hight of candidates so hight must be 5 feet and 4 inches (162.5 cm). Those candidates who have to complete their graduation so they can serve their duty as PN. All the interested candidates can get more information about how to join Pakistan Army after matric, inter graduation and master programs 2019. Please stay with us for the latest updates regarding join Pak Army. pak army k lya FA it k sath female apply kr sakte hen kya?? assalam.o. allikum sir meri age 01.02.1992 hai meri education fa hai second division .kia mein pak army mein apply ker sakta hoon..
i got 78% marks in fsc and want to apply in this field. how can i apply? i like park army. i join park army. i cleared matric. Sir i passed my fsc with 55% marks,but my height is 6.2 can i eligible to join pak army…..
Assalam-o-alikum! to all my brothers and sister I would like to give you a free advise when I was at the ISSB kohat my friend was so much scared just like some of you he said to me” yaar chal idhar kuch nahi hoga kaun itna bhagey ga aur yeh sarey tests clear krey ga ” I replied him ” tu ne jaana he tou jaa mein tou highly recommend ho ke aun ga” aur aaj mein as a captain pak army ko serve kr raha hun , aap sb ko bhi yahi mushwara dun ga ke mehnet krein aur apney uper poora aitmaad rakhein feel like there`s no one better than you , fell like you`re the best and are at a step away from joining the team of best. INSHA ALLAH Sir boht jald aap k paas aa raha hoon. Bs mujhe next vocancies ka intzaar hai.wahan pr he milain ge ALLAH HAFIZ. Sir i love pakarmy i want born in first lieutenant sir plz accept meee ?? ?I love pakistan pak army i hope one day i born first lieutenant??? sir,i want to know how to join Pakarmy after FS.c as a girl.i love Pakarmy from core of my heart.its my dream and with your help it will b fullfilled.plzz AS&RC mei b girls k liye vacancy rakhyain plzzzz. i want to know that what is the procedure to join pakistan army, air force or navy. My name is Usman Ali and I want to join Pak army. i love pak army and want to join it,is it possible for me ,plzzzzz contect me on my email. i m nimra malik I want to join pak army can u tell me how can I aply I want to software enggenering frm army I passed f.sc examination recently. ASALAM O ALIAKUM SIR I WANT TO JOIN PAK ARMY AND WANT TO COMPLETE MY M.B.B.S FROM ARMY MEDICAL COLLEGE BUT SIR I HAVE GOT 65%MARKS IN MY HSSC EXAMS PLZ TELL ME CAN I APPLY FOR ISSB TEST OR NOT??? Assalam-o-Allaikum! Sir .I am Fazila Umar I have taken my 2nd year exams (Pre-Engineering). My marks in 1st year are 458. I am much interested in PAK ARMY. I wanna join it but i don't know when tests are conducted for selection.Please…….. inform me .I am waiting for your answer. Aslam.O.Alikum Sir I.m M Awais Asghar from changa manga.I.m graduate and doing Master,s(regular) from P.U Sir my elder brother was injured 3year before in Tribe Aria and still doing treatment.Sir i also want become ISSB officer. Respected Sir kindly help if you can. ameer-e-sher ny heery sy khudkushi kr li.. I am Aurangzaib and I have a great interest in Army and also I want to become a Brave,active and a good soldier to serve Pakistan.I will prefer to S.S.G (Special Service Group).Please help me and give me complete Information about the traning in S.S.G.I will be very thank full to you. iam mohammad wali and i want to join pak army. please gve me oppurtunity for better service of pak army. sir my name is sardar fakher alam from chitral..i got metric with ist devision numb,i got 718 numb out of 1050 ,and clear dcom part 1.and now i am appered to part 2.sir can i appeared to issb,,?please sir kindly email to me..and give instraction…i was very thankful to u? yes rabia … what u want help ?? Aslam_o_alekum sar mara name waqas nazir ha or main azad kashmir main rahta hn ,or mara abu hawaldar tha ,mari howhis ha ka main pak army main jaon ,or pakistan ke boht kidmat karo or sahed ho jaon plz plz plz plz plz sar ap is silsla main marai madat krn mara nmbr 03445951348 ha or mara 9th main 480main sa 336 nambr ayan ha plz ap mari madat kro hoda hafiz. Sir, My Name is Majid khan a join to Pak Army .Help me. Iike Pak Army. hi sir m student of BS-Chemistry, should i apply for pak army after my 4th semmester??????? which is equal to BS.c..
Aslam u akaikum sir my name is m.imran sir main army join krna chata ho main ne phely bi 2 bar test diay han sb kuch fit tha medical physical sb fit tha pr phr br call letter ni aya plz ap mjhy next bharti ki date bta dain to kia pta ap ki wajha se allah pak meri dili mtrad sun le. D i khan center se. sir my name is Syeda HINA i want to join pak army i have done Fac in pre -engr now am doing BBA-IT my height is 5.5 Can i join Pakistan army? hy sir .i m in second year .i ve got 87 percent in matric n 63 percent in first year..(pre-medical)…bt inshALLAH will make an aggregate of 70 percent…can i join pak army as a commissioned officer??? h3y……. sir mujhy army mai jane ka bhoooooooooooooooooooot shoq hai so plzzzzzzzzzz a mujhy yeh bta skty hn k army k lye kitne % numbers chahiye hoty hn n matric k bad kia subjects hoty hn plzzzzzzzzzzzzzzzzz sir help me……………………. h3y….sir mujhy army mai jane ka bhooooooooooooooooooooooot shoq hai tou plzzzzzzzzzz app mujhy yeh bta skty hn k army mai jane k lye matric mai kitne % number chahiye hote hn matric k bad kia subjects hote hn plzzzzzzzzzzzzzzz sir help meeeeeee………………. sir i want to join pak army ,i have done i com and doing bba ,,can i jion pak army ??????? i want to b army officer, i m graduate fr0m Shah Abdul Latif University Khairpur Sindh Pakistan. Cleared B.Com In January 2012. ASC, Sir my name is hammad shamim and i am living in Germany and i am intermediate passed (I.com). I am kashmiri. I want to join pak amy how can i join pak army and also i have doucment of Italia please give me answer as soon as possible. I am very thankfull to you. Hafiz Aftab Ahmed Bhatti …. Main pak army k kisi aise college k bary mein jan"na chahta hn jahan main apni study jari rakh sakon …. sir my eye side is weak almost 5.75 can i am abbel to apply? aoa sir my name afzal minhas . i want to join pak army so,plz contact me03337338880.my hight 5.8,weight 80 and age 17and half. hi sir i am mati-ul-hassan from sialkot pakistan i want to join PAF i am F.sc part 1 please mail me as well as possible please i am waiting for your reply my height is approaximately 5' 7" please mail me my skype id is Rehman_jutt47 and yahoo E-mail is [email protected] thanks i hope that you will send me your thoughts…. AOA sir my name is MUNEEB changazi..Im from gilgit baltistan..im in 10th class nd im fond of joining PAK ARMY.please contact me on 03417904457..My age is 16. AOA..sir im Muneeb changazi from gilgit baltistan.im in 10th class.im fond of joining PAK ARMY please contact me on /03417904457.my age is 16. Assalam.o.alaikum,Sir my name is Azem zulfiqar.Sir iam doing i.com part 2 ,can i apply for army after 2nd year.How many marks should i take to apply.Sir plz answer me…? ALL PAKISTAN ARMY SALAM IAM ZUBAIR AHMED MATRIC ,B, GRADE AGE 22 FROM KHAIRPOUR SINDH SIR G MUJHE PAK ARMY ME JOIN KARNE KA BARA SHOK HA PLZ MUJHE EK MOQA DA TO AP KI MEHRBANI HOGI MUJHE PAKISTAN ARMY ME APPLAY KARNA HE PLZ REPLY APPLAY DATE . Sir next date bta dain please. tell me the date of registration ? your soldier told me in april. sir plz help me how can i join army ? i am 28 years & i have done graduation….please tell me dates and from where i could collect form? sir can i apply for army????? sir can u plzzzzzzzzzz tell me, can i apply for army?? sir can i apply for army??? plz sir can u rpy?? Please Sir, notify me when will be your entry test held. SIR I M DOING B.COM IT.I HAVE DONE PART 1 AT FIRST DEVISION MARKS SO NOW I WANT TO APPLY FOR PAK ARMY SO PLZ GIVE ME AWARENESS ABOUT ARMY HOW CAN I APPLY FOR ARMY ON HOPE CERTIFICATE. sir salam to u ,sir want to say that iwant join pakistan army aviation tell me how i can do it my qulif is Ics 60 marks approx. Plz ap ye bta dain k army ki bhrti kb khuly gi q k main ny b army main aply krna hai or pakistan ka nam bulnd krna hai. I m doing M.B.B.S with an avg gpa of 3,from DUHS Karachi,and have an aim to join pak army.plz tell me what is age relaxation for graduates , to join.i am in 25th year of age till now. Plz reply me on my email or 03432727418. I will be very thankfull to you. sir i have been passed the metric exam and waiting for army jobs based on metric. plz confirm .me about jobs. I am Angry to Join The Army! …plzz tell me the joining date..
..someone telll me on my nmbr with msg or call..
salam.sir mai younas khan frm quetta qualfication fsc.sir mai 51 medium artallry mai select ho gea tabad mai qualty check up mai mojy unfit dy diya ta bazu pe blade k cuts ty or mai na 3 mounth traning b ki hai.ap abi mjy koi solution batain kia mai agar dubara try karon mai fit ho sakta hun k ni? salam sir ,. i am raafia from karachi. i wana join pak army in operation branch. my qualification is m.sc (physics) ap plz mjhe suggest karain what should i do? assalam.o.alaikum sir,, main pak army joined karna chahta hon mene last year hi matric pass kia hain science se,, or main agay bhi parh raha hn,, mjhay pak army main janay ka bohut shauk hain isi waja se mene apko mesg kia hain ap plz mujhay contact zaror karye ga,, thank's.. & am 17 years old. assalam.o.alaikum sir,, main pak army joined karna chahta hon mene last year hi matric pass kia hain science se,, or main agay bhi parh raha hn,, mjhay pak army main janay ka bohut shauk hain isi waja se mene apko mesg kia hain ap plz mujhay contact zaror karye ga,, thank's..
sir i want to join pak army please tell me further ???????????? i am doing F.sc . i realy like and love army but dnt know how to join help if u know something. asslam o alikum sir mra name samreen h mjy pak ary m jny ka bht shok h mny FA kea h or BA k paper diy hoy h ap plz mri help kr dy k mry liy army join krny m m kis tra ki field m jion kr skti hu. kuch pta chla army ka? sir,i want to join pak army as commission officer .i am in BS(Hon)semster 7th .i will complete my BS studies in june 2013.in that case my age will 23years and 2months. so can i join pak army in that case…..
Salam. . . I wont To Join Pak Army And Im Tarin From Mujahid Force so plz do let me know have i can join pak army? I have three years experience as a clerk in Signal Corps (50 Signal Battalian). sir i pass my first year of fsc pre-eng with 63% and i want to join pak army plz tell me how? SIR A O A I M FRAZ ASIF FROM RAHIM YAR KHAN. I HAVE PASSD FIRST YEAR IN DAE IN MECHANICLE IN 83%. I WANT TO JOIN PAKISTAN ARMY PLZ TELL ME HOW I JOIN PAK ARMY? sir ya saray bheek mang raha hai.lakin mai bheek nahi mang raha.mujay method bataya kai mai kaisa join karo pak army. abi konsy maheny my solider ki recrotment start hoge? Will you guide me about this.Please guide me about this I shall be very greatfull to you. AOA sir my father retire from pakistan army unit ASC. i belong to okara i and my father want to join pakistan army as officer. sir i am studant of Bs(hon.)chemistry. i did my fsc with 52% marks and matric with 72% marks. sir is it posibale i become a officer. please give me some instruction my contact no. is 03076143033. i wait you’r ans. i m student of inter class i want to join pak army plz give me a short information ??? did you have gone through issb twice? i want join pak army…. i am student of class 9 i want to join pak army. my number is 03429197158. I wont to apply for cleark of army staff. I Wont to apply the pak army. I Wont to join the pak army. sir plz army ki deatils send ker dy………………………………..
plz tell me every thing that how can i start fsc in pak.Army? i want to join pak army how can i join and i have down my matric in thiz year plz can u tell me about all proseijer. i am a student of 1st year…..
and ma ny army ma Officer ki post pr jOin karna ha…. i proud pak army,i hope salect me in pak army. i want 2 do mbbs 4rm… admissions are still open ??? yar mery 61%marks hyn frst year main m i eligible for pak army ? l m graduate in 2nd division my age is 33 years. I have DCS diploma in computer to. Can i join in Pak army in any field? i m matric pass 2 division . i m ornge belt of kungfu kraty. how can i jion pak army . sir,i am student of 2nd year pre eng . . .. I want to join pak army what should i do? 1 year join a news plz replay me???????? Me Army join krna chahta ho me kis trha apply karo??? sir my name is Ali akbar and i want to jion PAK ARMY….????? MAY I KNOW THE PROSEIJER….???? kabir iqbal s/o Mohammad iqbal khan here from Abbottabad i just complete my graduation BBA (hons) and i want to join pak army as a captain. so plz tell the procedure and notify me. I want to join pak army. I m a fresh graduate. I have done B.A. please give me some information about admission process and date of tests etc. Please tell me… how many percentage should i have ? and when admissions will open???? with due respect for all i want to say that i am FATA Domicile holder of MOHMAND AGENCY and a BIT (Hons) Degree holder Graduared in the end of 2011. My date of Birth is 18, 10. 1988. i have got 580 marks out of 850 and 530 out of 526 in FSc Medical fculty .I have a dream for my motherland and for myhonur of my parenrs to get martyre in fighting for justice and faith of as a real muslim a real pakistani a real patan and a real and true Muslim and A Jehadi agaisnt the enemies of my pakistan . that is my only and last hope and a last wish from my ALLAH for completion. ??????? ???? ????? ??? ??????? ?? ?? ???? ????? ?? ?? ??? ????? ????? THANK U so much . why not for suggestions? Education mechainal deploma gct nowshera say.or matric may 745 a grade number hain sainc may.or may nowshera may rehta ho.mujay army ka bohat zyada shoq hain.my contect number.03329029742 and 03341929538.
vTo serve in a progressive organization offering job satisfaction a challenging working environment and a vast opportunity for carrier development based purely upon achievement and result. vReference should be finished on demand. assalam o alaikum ma pak army join karna chata ho muja chok ha ap bata da ka bharti kab ha..
a.o.a aik information chahye Fsc main mere 67% nmbr h. .main Pak Army main apply kr sakhta hn kia..plz rply must. .
sir i have doen fsc and i want join pak army this is my dizer ? salam sir i have doen my inter and i want to join pakistan army and i halpe for over country plz anform me my contect me 03152351008…. aslaamoalikum dear sir i have passed my fsc exam. and want to join army as engineer please help me. I want to join pakarmy.plz inform me as soon as possible. Sir i am M.Umar from Sargodha.My father also serve my pakistan in the Pakistan Navy as a Master Chief. I also want to in army as on commission. plzz plzzz plzzz plzzz plzzz give me one chance. i am vary sincere from my nation.I complete my b.com in last year. saka plz sir mujhay moqa mely to mian pakistan ke ley apni jan be qurban karny kar do. ASSALAM O ALAIKUM.PAK ARMY ZINDABAD.I M JOIN MILTRY POLICE,this is my dream. SIR I LIKE THIS JOB. Respected Sir, Please tell me that can i join Pak Army after I.com? Sir me baloch hon . Sir mujay pak army say pyaar hai. Sir mera b dil chata hai me pakistan k lye shaheed ho jaon. Sir plz mujay pak army me join karwain. Sir mainay D.A.E kiya hai power tecnology me. . I love pakistan & i love pakistani solder and pepole. Salam m Syed Gulfam bukhari education matric sir i join pak army my dream i join army 03009603316. It is my dream to be a SSG commando and one day “I will be”!! I REALLY LOVE MY ARMED FORCES..
AssaLam.o.Alikum…..sir me pakistan specail army force ko join kerna chahta hn …..
sir i,m saqib ali from lhr.age 20 and i,m student doing B.COM Part 2 plz sir i,m also wana join to the pak army ,u can help me this matter..
ma ASSOCIATE ENGINEER hn ma PAF join krna chata hn plz help me how i join PAF .I LOVE PAF. Assalamoalaikum sir my name is taimur ali and i have 62%marks in matric and i want to join pak army i love pak army. sir me doing a job in punjab police.My date of birth is 26.10.1991 21 years round about me want join army.My education is Fsc(eng) about 45% number.Give me advise.My cell no 0321_4695846. A.A sar. I have three year DAE in civil technology with 74% marks.I want to join army.and i want to save my country from all enemies. i m waiting fr ur reply……. I want to join pak army & myrtred fr my cntry . 1'm repeting my fsc & thn surly join the great PAK ARMY! salam.sir mery haat aur paon par safaid neshan hay kia is say mujy medical may koi problm hosakte hay ya nahi…..
em waiting for ur answer Sir. my contect no is 0303 5164886………. ASSALAM E ALAIKUM, Sir, I passed I.COM with 60% marks ? I have 6 fingers of my hands and feet . May I can qualify for army. i got 49% marks in graduation is there any possibility to join Pakistan army. ASSALAM O ALAIKUM. My name is Ammar yousuf and i have 87% marks in matric examination and i want to join PAK ARMY because i wish i safe my country PAKISTAN.. Thank q.
ASSALAMUALIKUM MY DEAR SIR .MY NAME IS UBAIDULLAH KHALID AWAN.I HAVE PASSED MY MATRIC WITH 72 PERCENT MARKS.NOW I M DOING MY F.S.C.ITS MY DREAM TO JOIN PAKISTAN ARMY.PLZ PLZ SELECT ME.REGARDS UBAID. i am F.A and mechinest,draftsmen,auto CAD,motorcycle mechnic, and CNC oprator. I like join pak aramy. plizz tell me for joning army..thinkyou. i weating for you massege..
.my name is Muhammad saqib i live in lahore i have 68 % marks in f s c . my age in 20 year old . i want to join pak army my mob no 03024007168 plz could you provaid me some information about pak army 2nd leftinent job . i love pak army . my name is Muhammad saqib i live in lahore i have 68 % marks in f s c . my age in 20 year old . i want to join pak army my mob no 03024007168 plz could you provaid me some information about pak army 2nd leftinent job . Mera naam Muhammad behram nagra ha meri umer 17 saal hai mai lahore(sabzazar ka rehne wala hn) or mai Pakistan army join krna chahta hn meri bht zyada khuwahish hai k mai Pakistan army mai hn sirf or sirf isiwaja se fsc pre enginering kr raha hn ta k Pakistan army join kr skn as a second lieutenet mera fsc part 1 ka result ane wala hai and mere matric k result mai 74% marks hai plz contact me at my num 03326926859 or 03244958645 i love Pakistan army i will be very thankful to u.
Mera naam Muhammad behram nagra hai mai Pakistan army join krna chahta hn meri bht zyada khuwahish hai k mai Pakistan army mai hn or mai ne sirf or sirf isiwaja se fsc pre enginering kr raha hn t k Pakistan army join kr skn as a second lieutenet or mera fsc part 1 ka result ane wala hai or mere matric k result mai 74% marks hai plz contact me at my num 03326926859 or 03244958645 i love Pakistan army …. I am M.Phil in Botany Degree holder from Azad Jammu & Kashmir want to join Pak Army. ''''''''''. my name is farid.me lakki marwat me rehta hu.me pak army join karna chahta hu.ap muj se is number par rabta karsakte he.03059365760. Salam,i have obtained 61% in matric,56% in f.sc and 51% in graduation. Can i join pak army as officer.if no,what is the minimum %age of marks requried. a.a ,,,,,,,,, i want to join pk army ,i have passed my f.sc with no good marks .so give me some details to join ur force. This is Usman Zaidi from Khi, i've passed mtaric 4rm Balochistan board and got 59.35% marks in 2010. Now i'm waiting for the result of 2nd year (i.com). I want to join PAK army,plz guide me what will be the procedure. . . can i apply to get job in PAK army…. i am Tanveer i passed metric with 64% marks in 2007 i com passed with 63% marks in 2009 (lahore borard) B. A passed 58% marks in 2011 (Punjab university ) my age is 22year . i want to join the Pak Army please contact me my no 0334-9775442 and give me a chance for prove my ability. i m mohsin raza. I have passed b.com & got 65% marks. I want to join pakarmy to serve our country. i am Jawad arif minhas from lahore PAKISTAN.I have obtained 67% marks in matric examination. i am 15 years old. My height is 5.11. I join pakistan army. my father was also retired from paf. please contact my own num 0334 0701348 03008875862 thanks. i obtained 58% marks in F.sc and now doing B.sc,i want to join the pak army what will be the procedure..Can i apply? time i passed all requirments but they had not sent me joining letter. a chance. I am very thank ful to you for that. salam respected sir i have done my matric with 69% and inter part 1 with 70% now iam waiting for inter part 2 result . i want to join pak army after matric . i passed matric n got 85% marks. how to join pak army? I like pak army very much and i want to join pak army. my contact number is 0336-2019274 if you give me one chance to prove my self i shall be highly thankfull to you. My name is abdul jabbar bugti.I cleared the examination of ba in last year.Datiled of qualifaction are as under. In matric i get first division and seq.590/850rks. I also passed the computer three months traning. My contact no is 0835410202. I am also wanting to join the pak army. I am waiting for my 2nd year result, i've got two supplies in my 1st year exams, i know this time i can clear them by sheikh sahab sarkar ki duaon ky badolat INSHA ALLAH, i am having a real spirit to join pak army or navy so that i can serve the nation, ALLHAM DU LILLAH i am physicaly fit as i've trained my self alot, i want to join pak army special forces "SSG COMMANDOS" INSHA ALLAH after completing long course . My contact number is 03224695795, sir please give the guide how can i clear my issb test & if anyone want's to contact me, just give me a call. It is my best desire to join pak army and die for my country……. hello sir, m awaiting for my BA result. i want to join pak army and continue my further studies under pak army, its my wish to work for pak army and die for our country. sir FSc pass ki ha ma na pr mery marks 47% hain is lia ma marit pa ni utar rha. kia ma B.A kr k PMA join kr skta hon??? mjhy kitny marks lany hongy B.A ma?? i love pak army.and i want to serve my whole life for the sake of my country pakistan.pakistan zindabad,pak army paindabad. Assalm-o-alaikum i have done my matric i want to join pak army and i want to know about study in pak army. how i can study after joining pak army ???? its my childhood desire to join pah army.now its chance for me to join pak army.so please tell me how can i join arme after fsc. plz tel me how can i join pak army? iz thr any tst? plzz tel me al abt it!!!!! mene matric clear krli ha aur hifz b kia howa ha.me pakarmy join krna chahta ho.plzzzzzzzzzzzzzz sir muje ak muka dia jaay. I WANT 2 JOIN PAK ARMY. INFORM ME ABOUT ITS ITS ENTRY TEST. I wanna join pak army….plz tell me the test scheduel and date??? i want to join army because i too much love my army and i am also able to join my brave army. Go for a Social Sciences course. Do anthroplogy if you can, and don't worry, it's not as hard as it sounds. Our country, culture and traditions is in great need of people who can defend them not just by arms and weapons, but also through understanding and protection of another kind. Look into it and I hope you find a purpose worth living, as well as, dieing for. Is there any written test to join in the army. one of my relative is the mamber of pak army .he had only to work on the computer. i just wanna know that when and where this test is going to be held this year ? and from where we can get the forms ? Thanks for doing this great work for women of Pakistan. I wanted to be a doctor. But i failed to get admission in mbbs . If you can suggest a better subject for my future then i will be extremely thank full to you. regards. PLEASE ALLAH GIVE ME A CHANCE TO SERVE AND DIE FOR MY COUNTRY. IT IS MY BEST DESIRE TO JOIN ARM AND DIE FOR MY COUNTRY. MARA NAME KAMRAN KHAN HA.MA PAKISTAN ARMY MA JANA CHAHATA HON .MA MATRIC PASS HON FEDERAL BOARD SA .MARA 61% NUMBER HAIN .MA ARMY MARAH KAR AAGA PAHRNA OUR TRANNING HASIL KARNA CHAHATA HON .MY NUMBER IS 03325334385. PLZ SIR CONTACT ME. THANKS.